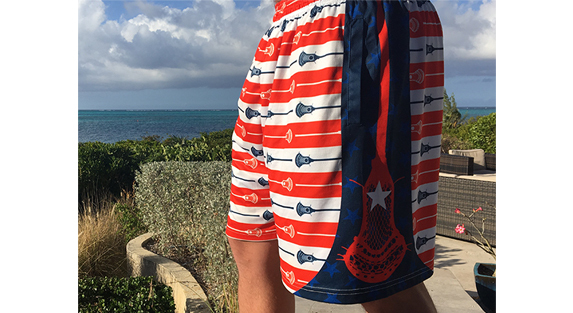 Our exclusive lacrosse shorts feature a double layered design and are made from moisture-wicking, polyester material, making them the perfect lacrosse shorts to wear both on and off the field. The comfortable shorts have an adjustable waistband and two pockets for convenience, and are sure to be a player's go-to shorts all year round. A great lacrosse gift idea for a player or fan they'll love wearing.